Standing out of the social media marketing crowd isn’t easy. There is a huge competition, and it’s merciless. You might ask how to get ahead of your competitors? By creating social media marketing campaigns. This is a perfect tool to use in ongoing social media marketing struggles. It helps businesses create interest and attract a new audience, as well as increase leads and sales. Effective social media marketing campaigns are based on a series of touchpoints where a business is promoted. However, every single campaign takes time and effort to create. 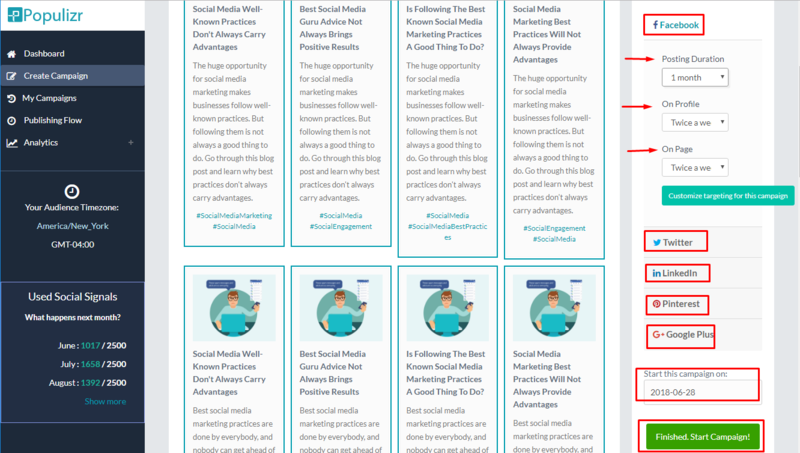 So, this blog post teaches you how to build effective social media marketing campaigns the EASY way with Populizr. Once you sign in to your Populizr account, click the Create Campaign button on your top-right corner. 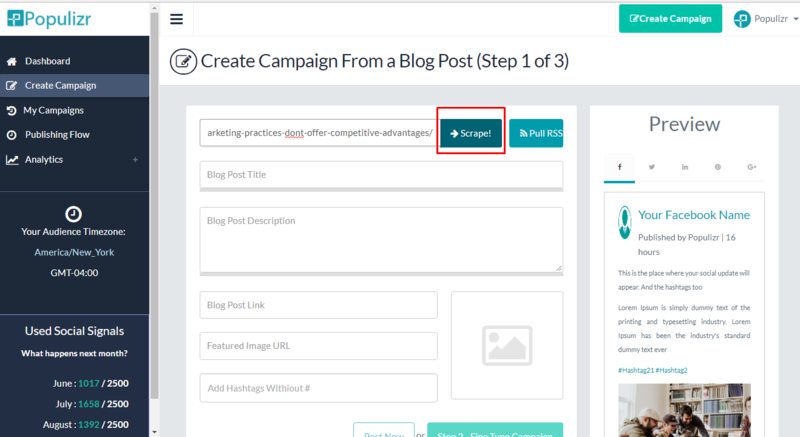 Go to your website, and copy the URL link of the blog post you want to create a campaign for. Paste the URL link of your blog post to the required field on the Populizr app, and click Scrape. 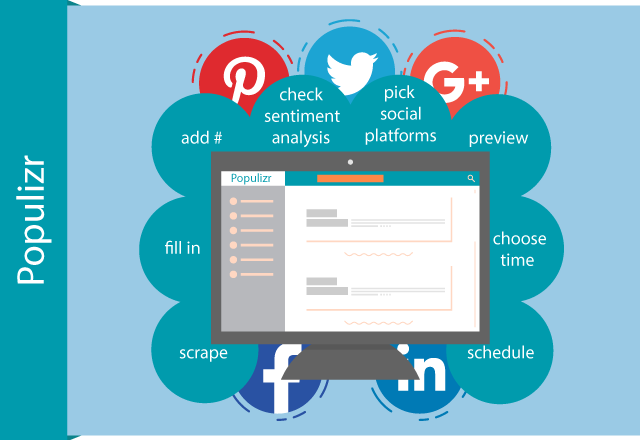 This is the first step in creating effective social media marketing campaigns with Populizr. 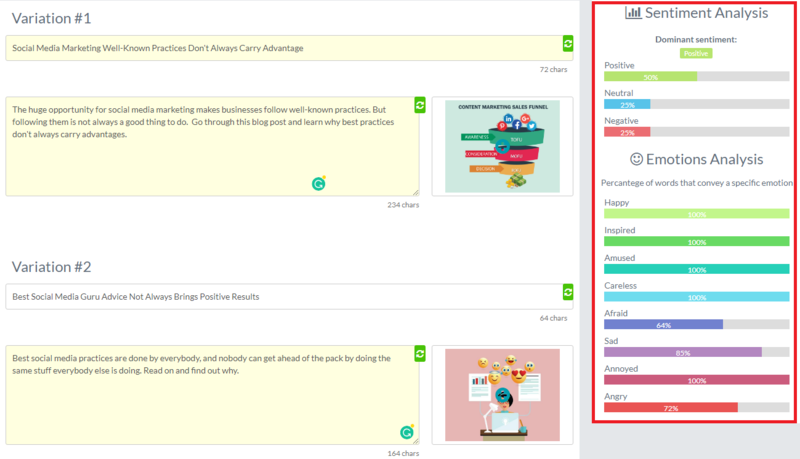 At this step, Populizr takes the title, meta description, and tags from your blog post. 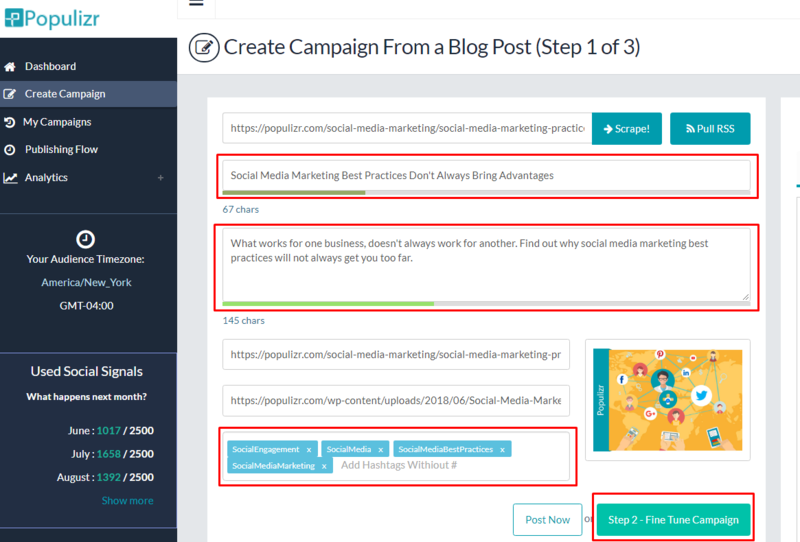 Once you’ve checked all the details that Populizr provided for your blog post, click Step 2 – Fine Tune Campaign on the lower-right corner. In step 2 you can choose the number of variations you want to generate. 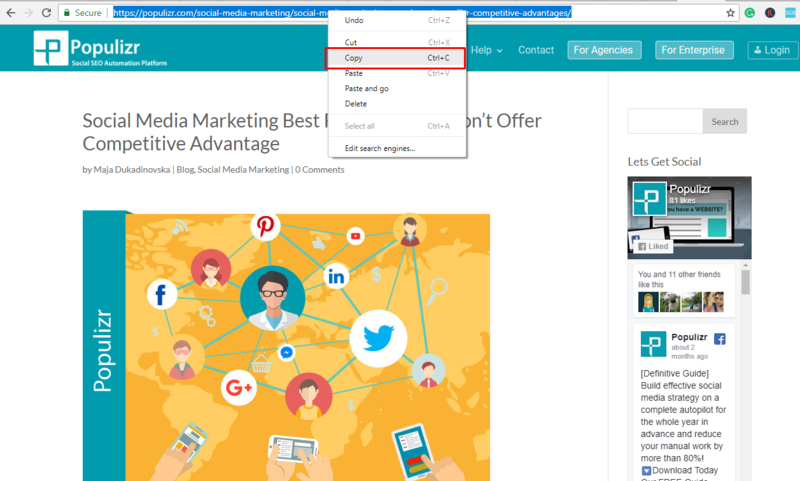 Populizr can generate up to 5 unique variations with unique titles, meta descriptions, and images. Later these 5 variations will be combined with each other and turn into 25 unique social media posts ready for sharing on all of your social networks. Populizr provides a unique feature called Sentiment and Emotions Analysis. Just click in the field you want to analyze, and you will get the complete analysis of the titles and meta descriptions in the Sentiment and Emotions box on your right. Use no hashtags at all. Select the option you want and click Preview Variations. 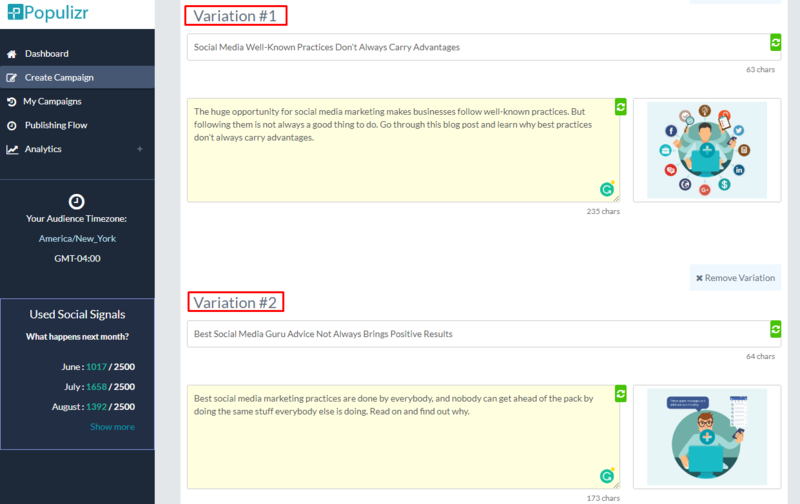 Variation Preview panel allows you to check your variations or go back and make some further edits. If you need to edit them, click Back To Edit. When you are finally done, click Final Step – Scheduling. Remember: Make sure your variations are created according to your preferences because there is no edit option after this step. Now you get to the final step of scheduling your campaign. There are several scheduling types to choose from: standard, promotional, evergreen or custom. 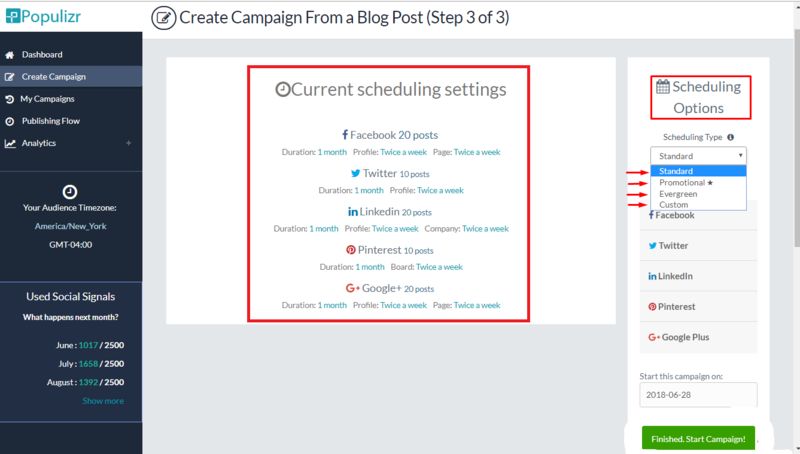 Each provides a different option for scheduling including social media platforms you want to use, the number of variations each type offers, as well as the time and date you want your campaign to start. 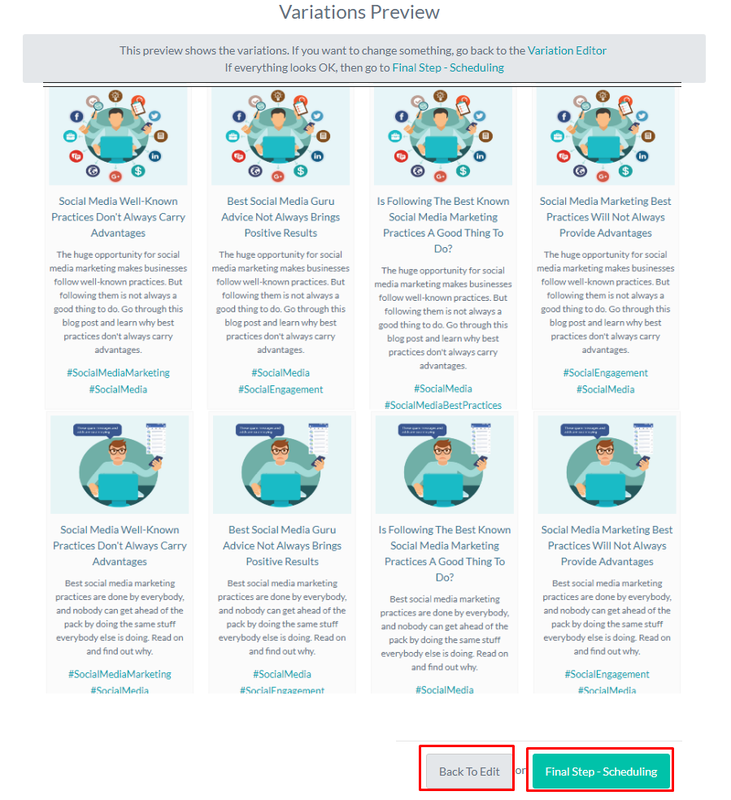 When you decide which scheduling type you want to use, the next step is to choose the posting duration of your campaign on the social media platforms you want to use. Choose the duration, and the date to start the campaign. Then click Finished. Start Campaign! 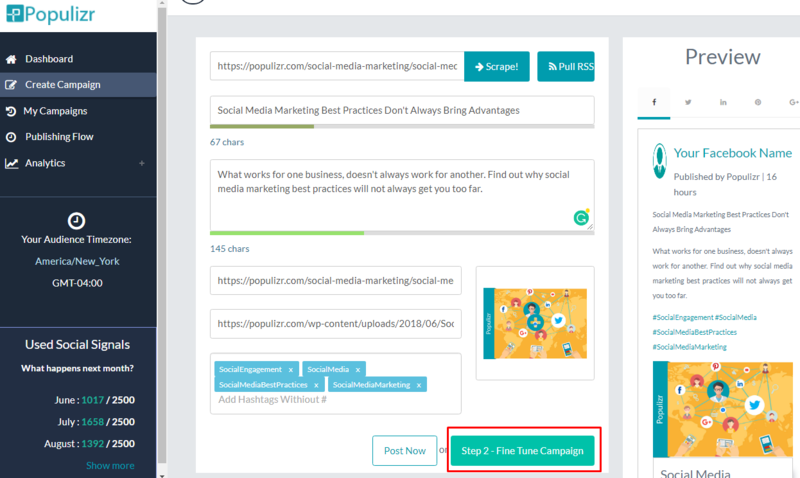 You’ve just successfully created your first social media campaign with Populizr. Every business today promotes its product on social media. And it takes tons of time and a great deal of effort to manually create campaigns with unique and high-quality content, to target the right audience, to post at the right time, and to post regularly. Populizr is all-in-one automation app that makes it possible to create campaigns with up to 25 unique variations in several minutes. Don’t wait any longer and try Populizr for only 1$ for 30 days. You will see for yourself how you can improve your productivity immensely by saving time and effort with this cool app.